GUYS. I have some pretty sweet news! I sold our house in a day. YEAH. One day! It took so much work, but it was so worth it! I’m working on writing a post soon on how I did it, but one thing I can share for sure is that I heavily cleaned our home—every nook and cranny, even with a toothbrush! 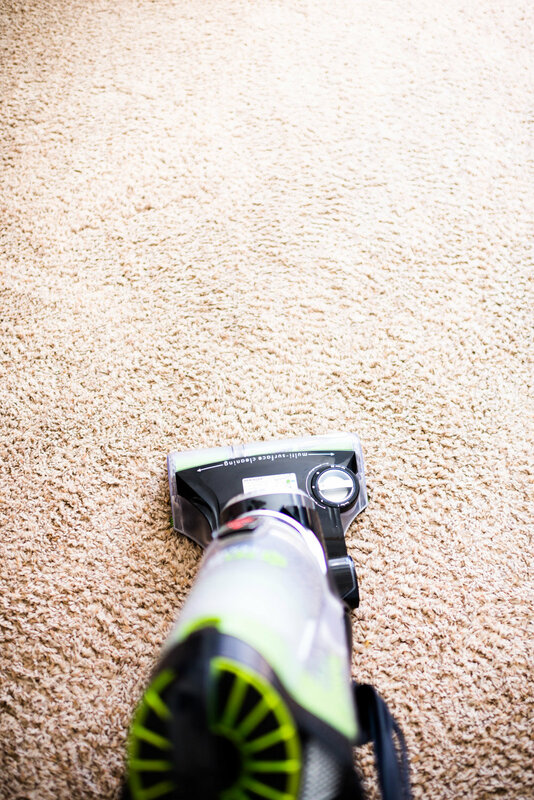 But I kept having trouble cleaning my carpets in the weeks leading up to listing day… and this was because our vacuum was not doing the job—and with two large breed dogs and three cats, I knew I needed to figure something out quick. First, I want to briefly tell you about our old vacuum, which now sits in some thrift shop in Missouri (thank goodness). Our vacuum was given to us by my parents, and it was over ten years old. I have been vacuuming with it since I was fifteen! But, you know when you “need” to buy something for the house, but it’s not a priority, so you put it off? That was upgrading our vacuum. We just kept saying “we should get a vacuum soon” but would never actually do it because we convinced ourselves we could go a little longer with the vacuum we had. Finally, one night after spending over forty minutes trying to get the damn thing to work (not to mention my back hurting from how heavy it was), I knew it was time. A few days later, I found myself at Target staring at the Bissell Pet Hair Eraser—which was on sale for $124.99 (normally priced at $249.99)! After reading reviews on Amazon, I took it home. And I have to say, the night we bought this vacuum, Dan and I stayed up all night trying out its different features and settings and cleaning our bedrooms—we hadn’t been that excited to clean in so long! For days, I vacuumed every day, multiple times a day, on carpet, and my vinyl wood floors. The Bissell Pet Hair Eraser is perfect for us for so many reasons—first that it’s tailored to pet owners. And with five pets, two of which are large breed dogs, I need a vacuum that works. We have a German Shepherd and Australian Shepherd mix (Levi) and a Great Pyrenees and Black Labrador Retriever mix (Bojack). Levi weighs about 85 lbs., and Bojack weighs about 103 lbs. This of course results in quite a bit of pet hair on an average day—and don’t forget, our three cats shed as well! What can I say? We’re animal people. But what makes the Bissell Pet Hair Eraser so great compared to other vacuums? First, the tangle-free brush roll. 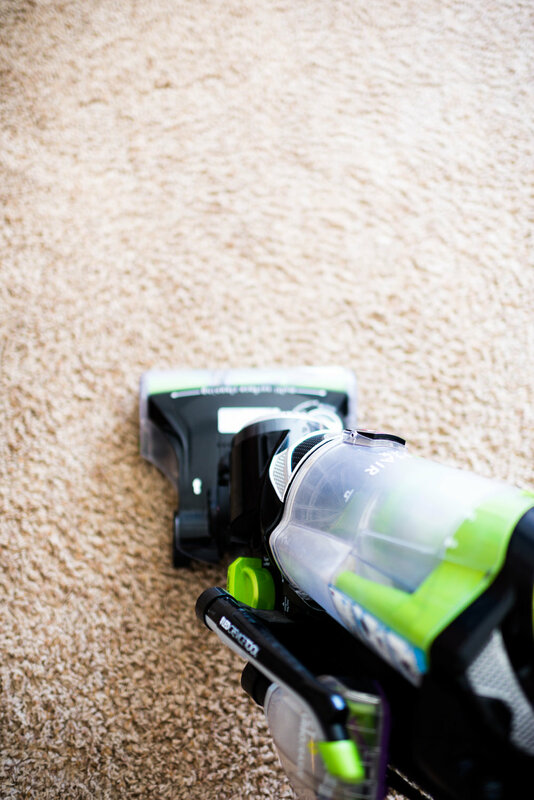 Every vacuum has a brush roll at the “mouth” of the vacuum, but excess bristols result in a mess of tangled hair if you have pets…and you’re left cleaning out the roll just about every time you vacuum. But with the tangle-free brush roll, there are just enough bristols to gather hair from your floor without tangling in the brush! It’s a game changer! ﻿And get this—this same concept is used in the handheld brush, too. Second, the cyclonic spooling system is pretty damn amazing, too. When the dirt and hair enters the collection chamber, it is spun into a one-of-a-kind (and patented!) cyclonic spooling system—the hair doesn't get stuck in the chamber where you have to pull it out with your hands! Instead, it falls right out, hands free with the click of a button. Okay, so let’s quickly walk through how to set this vacuum up. Decide whether or not you want the tangle-free brush on, too! And let’s get to vacuuming! And that was after vacuuming it the night prior, friends. That’s pretty gross!! 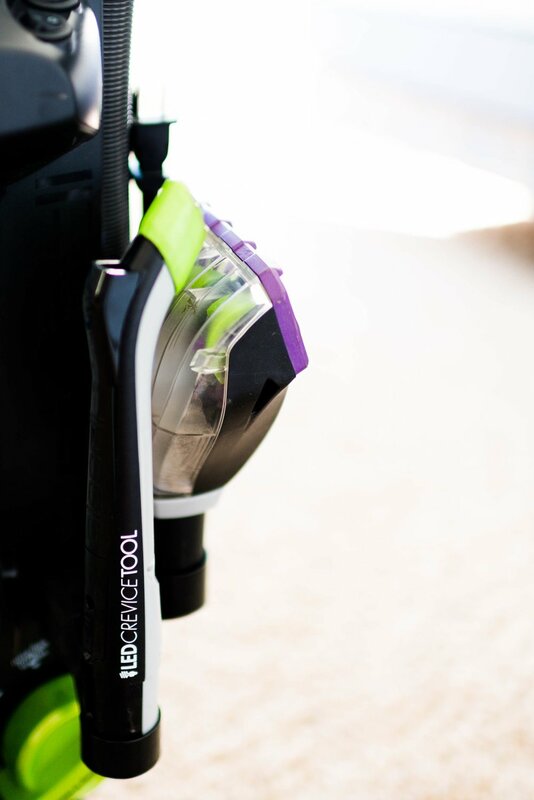 The LED Crevice Tool maintains fantastic suction, and it has a light on the top of it to help you see, too! I use this tool in hard to reach places such as under my fridge! 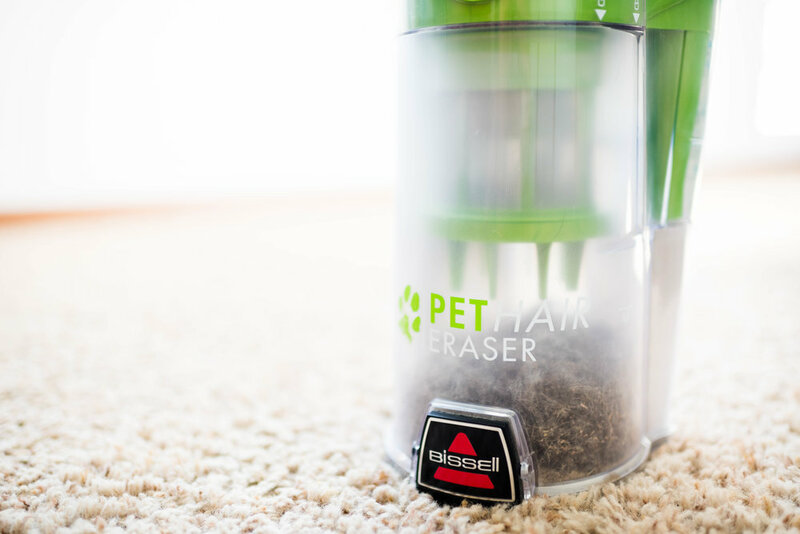 The Pet TurboEraser is seriously amazing… I first tried it actually on my dog beds! And I was shocked to find that it removed just about every piece of hair! After that I was quick to use it on all of my fabric furniture, too. I have not yet tried the 2in1 Pet Brush, but considering everything else this vacuum has presented—I’m more than excited to use it when the time is right (I write this in our temporary house in Arkansas right now and our precious vacuum is in Missouri waiting for me to use it for now last time in our Joplin house!). If you’re ready to give your home freedom from pet hair, you can purchase the Bissell Pet Hair Eraser here for $249.99. Oh, and side note—remember that vacuum I tossed?? Well I found the exact one in the home we are purchasing when we were touring it! I just thought that was so funny! Hope you guys enjoyed this! Happy cleaning!